The Audi A1 e-tron is a Mega City Vehicle (MCV) with an innovative drive technology designed specifically for use in the metropolitan areas of Europe and North America and in the rapidly growing megacities of Asia and South America. It comes equipped with a powerful 75 kW (102 hp) peak power electric motor for zero-emission driving and an internal combustion engine on board that is only used to recharge the battery in exceptional circumstances. 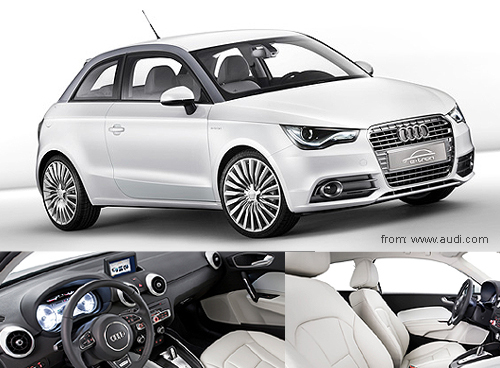 Audi A1 - The future is taking shape.